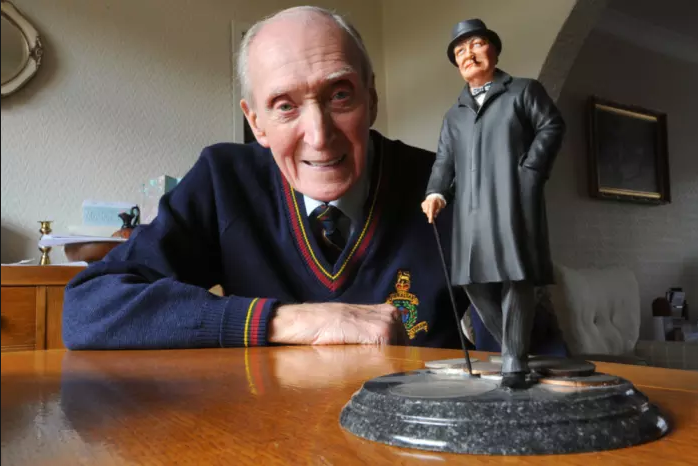 Neville Bullock, Churchill Bodyguard, R.I.P. …a kind and decent man, died aged 92 on August 29th, sur­round­ed by his fam­i­ly. Neville had served most recent­ly as a parish and dis­trict coun­cil­lor for Billinge and Sene­ley Green. Described as a “great bloke” by his friends, he will be deeply missed by all who knew him. Among these are Churchill his­to­ri­ans, who had the ben­e­fit of his remem­brances. Bul­lock was prob­a­bly the only man alive whose encoun­ters with the great bridged Churchill in 1945 with Rudy Giu­liani in 1996.